A Sculpted Set is very much what it sounds like. By using forms and placing them around the nail I then take acrylic to build out the desire nail shape and length. (Coffin, Stiletto etc.) 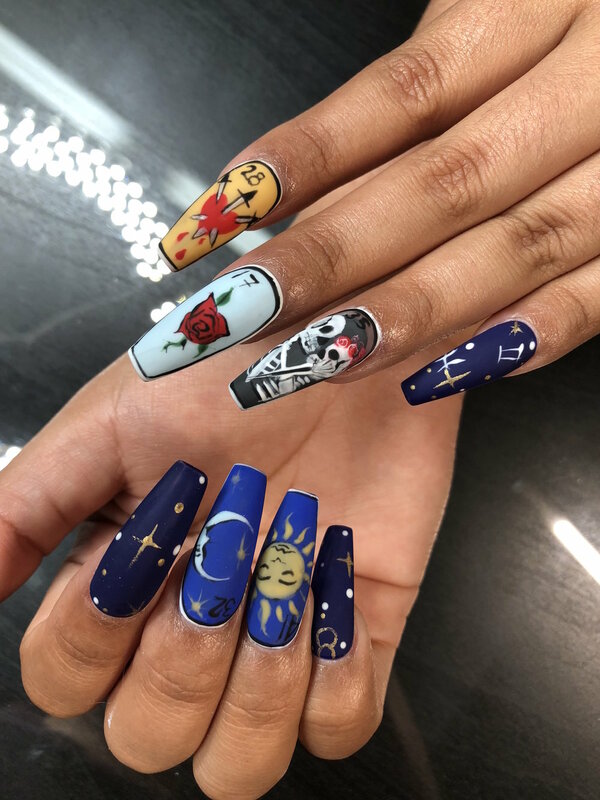 This service completely removes nail glue from the equation as well as the “Curve” that the tips have, giving you an overall linear more natural nail look.